Everywhere you read and hear about the promise of social media, the next great marketing tool designed to lead companies to the Promised Land. Banks and credit unions create a Facebook account, a Twitter account, a LinkedIn account and a Pinterest account, hoping to deliver the next social media phenomenon that streaks across the social media stratosphere. What a bunch of garbage that has been sold to corporations around the world. Bank and credit union executives are telling their marketing people, “We need to be in social media, engage in social media marketing, we need a social media strategy”. Why, because that is what traditional media and the social media pundits say needs to happen. I am not saying social media does not have a place in a bank or credit union, however, I am saying that 99% of banks and credit unions are wasting their time with social media as it is currently being utilized. We have to go back to what started the social media revolution. We have all heard the famous story about Mark Zuckerberg and his days at Harvard University. The evolution of social media is essentially an online and mobile tool that allows individuals to communicate and share information with other people or groups. It is a “social” tool. Along came corporations that saw millions of online users and said, “We have to find a way to take advantage of that collection of people to communicate our corporate message”. In essence, what has happened is corporations are attempting to hijack social media to deliver their marketing message. Oh, they may dress it up, but ultimately it is designed to sell. That is simply not what social media was designed to do, and is why social media marketing by almost any measure has failed to produce tangible long-term positive financial results. So if you are a credit union or bank executive and you believe or your marketing team believes that the effort put into social media to deliver your marketing message has a positive ROI, then you are mistaken. Social media works when delivering a person-to-person message, but not a business-to-person message. What is your bank’s or credit union’s goal with social media? Is it to increase new business? Has it worked? I doubt you will find a true metric that shows it works. Is it to get “Likes” or “Followers”? Those are two of the most useless social media success metrics available. “Likes” and “Followers” are “one-time” engagement events. That is like sending a letter to all your members once and expecting positive benefits from that letter six months later. The only way to gauge social media success is based on “daily” interaction. 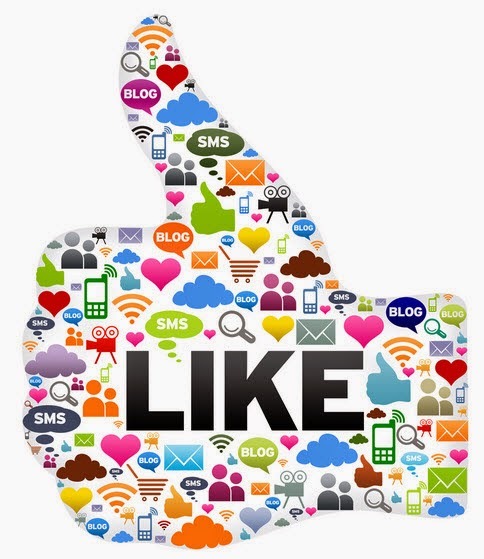 Do you know the click through rate for social media messages that come from “Liked or Followed” companies? Less than a half of a percent, which is worse than direct mail. Do that math based on the number of “Likes” or “Followers” your bank or credit union has accumulated. Does it produce a positive ROI? I hear feedback, “but it doesn’t cost us anything to engage in social media”. Wrong! Just like everyone used to say, it doesn’t cost us to SPAM email messages to customers and prospects. There are reputation or brand costs from slow response rates or unwanted messages. The time invested in social media could produce better returns elsewhere. The problem is banks, credit unions, and companies are lazy or worse, unimaginative when it comes to social media. Let’s simply take our old marketing strategy and apply it to this new channel called “social media”. 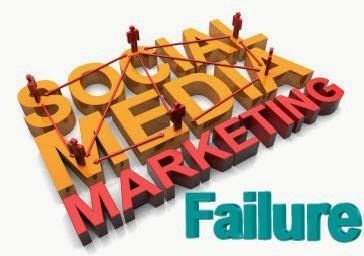 Trying to deliver a traditional marketing message through social media is like trying to drive your car down a sidewalk. There is a path, but the results will not be very successful and you will not make your neighbors happy. So where does social media fit into a credit union or bank strategy? Unless your bank or credit union is willing to innovate and develop a “game-changing” business model, it may not fit. Remember, social media is all about person-to-person social networking and communication. If your bank or credit union is willing to use social media and commits the resources to make it successful as a tool that allows your customers to interact with each other providing advice, counsel and recommendations around financial services then social media may make sense. But it has to extend beyond that, by allowing social media to influence the operations of your bank or credit union, such as for analyzing credit risk, influencing lending or deposit rates and product introductions. Social media will only work if your bank or credit union is capable of engaging your customers, which requires providing substantial and meaningful benefits to those that participate. Business social media must move away from one-way communication to two-way dialog. That can only occur with engaged customers. In an American Banker article, Creating a Bank that's Both Cool and Fair, Chris Skinner poses a question, "What does 'cool' mean in banking?" The question I would ask is, “How do you create a ‘cool’ and ‘profitable’ bank?” Transaction fees, interchange fees and other non-interest income are often the difference between bank or credit union profitability and losing money. Regulators, neo-banks, new competitors and educated consumers are quickly forcing the end of traditional banking non-interest income. Becoming "cool and profitable" in banking will involve a complete rethinking of how a bank or credit union operates and the business they are in. Banking is no longer about money, it is about data and how that data is used. We hear the term “big data” and study after study has shown North American banks and credit unions have failed to realize or capture anything close to the potential that big data poses to offer. Why? Data is meaningless in its raw form. Instead of trying to capture all your data and then try to do something with it, try focusing on a specific goal that requires limited data. Start small and as you gain experience, understanding and positive results, expand the use of data. For example, you could start by using data to help you identify profitable customers and more importantly, non-profitable customers, and what it will take to get them profitable. According to Bank Director 40% of retail bank customers and credit union members are not profitable. Optirate says, as many as 80 percent of customers at community banks or credit unions generate operating losses, with nearly all profits attributable to only 10 to 20 percent of customers. Can your bank or credit union sustain subsidization of 40% to 80% of your customers or members? Regardless of what number is correct, there is no doubt subsidization is occurring, which will ultimately lead to your profitable customers and members being at risk. Simple data can be used to start a profitability analysis. Even if your bank or credit union chooses not to act on the information, CEOs, CFOs and board members should know the results of a profitability analysis so a conscious decision can be made. What is Cool in Banking? Banking generally operates according to systems and legacy technology that were developed in the 1970s to meet the needs of the market at that time. Is there any denying the market today is not the same as in the 1970s? Yet banking remains siloed, operates around products, account numbers and is internally focused for plenty of outdated reasons. That environment is slowly changing, but can it change fast enough to preserve the thousands of banks and credit unions that exist in the United States. Virtually every country in the world is dominated by a small number of large “too big to fail” national banks. The US financial services market is quickly moving in that direction. North America’s national banks are investing tremendous resources into technology, Fintech startups, and technology incubator programs. Resources North American community banks and credit unions cannot compete with. So what is the alternative? 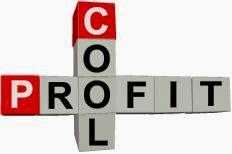 Create a “cool” bank or credit union. That means re-inventing how your bank or credit union does business. That means trying new ideas and recognizes they all will not work, but the organization learned something. It means positioning your bank or credit union to be able to adjust and move quickly. It means developing a niche that can be supported by your technology solutions. It means having agile technology. Silos have to be eliminated, organizational structure must change and the focus must be “what is right for the profitable customer”. It means finding creative ways to deal with Know Your Customer and lending regulations. The banks and credit unions that can deliver frictionless, instant account opening, instant loan approvals and disbursement, and predictive analytics will emerge as market leaders. It means leaving no rock unturned and allowing no sacred cows. It means “re-inventing” your bank or credit union to meet the changing expectations consumers demand in all other areas of their life in this digital age. For example, why offer separate checking accounts, CDs, savings accounts, and credit cards? Why not let your customer or member build the products they want in real-time through a one-step instant approval process? As they add features and new services, pricing is adjusted based on real-time profitability analytics. When I buy a car, I never buy the basic stripped down model. The low price may get me to the car dealership, but I do not end-up buying that model. Instead, I convince myself I need this "must have option" and "that must have option" to the point that pricing becomes less important to me and the dealer's profitability goes up. The same thing applies to new home buyers when they are purchasing a house from a new home builder. If banks and credit unions take a similar approach by allowing customers to build products unique and customized to their situation, instead of offering a pre-defined menu of pre-built products my belief is customers and members would focus more on the customizable solutions that meet their exact needs, and less on the pricing that goes with it. Through relationship pricing and relationship analytics, banks and credit unions can improve product margins and provide pricing transparency. The problem bank and credit union executives face is that in most cases their legacy core banking systems are not capable of supporting this type of innovative thinking. Core banking systems are built around silos, products and account numbers. They are not built around customer relationships, and data analytics. Will add long-term functionality and architecture that will allow your credit union or bank to move into the world of real-time processing, transactions and data management, and personalization. Components, APIs, standards, and the cloud offer banks and credit unions the opportunity to explore true alternatives to the zero-sum game of a core banking system conversion. Componentization, APIs – along with emerging standards such as BIAN (banks) and CUFX (credit unions) – and internal or external cloud environments allow banking systems to more effectively communicate with each other and allow banks and credit unions an opportunity to create their own service-orientated architecture (SOA). An SOA approach modernizes the technology environment by allowing credit unions and banks to “mix and match” technology solutions they need to adjust and drive their business model, as well as the ability to quickly adjust and implement new solutions. The most advanced banking technology environment is only as good as the vision, mission, and strategy it is designed to support. This contrasts with the old days of banking IT when IT departments often unwittingly held the bank or credit union hostage by their antiquated systems, and were obstacles to innovation and change. Banks and credit unions now have an opportunity to improve agility by becoming more invested in their technology strategy and its execution. The CIOs of today’s banks and credit unions needs to be savvy business leaders that are actively involved in shaping the direction of the bank or credit union, then putting in place the solutions necessary to achieve the corporate goals. They need to have a seat at the executive table and be like the orchestra conductor, pulling all the pieces together to create symphonic harmony. Well-chronicled are the changes that have occurred in retail banking – and will continue to occur at an exponential pace – coupled with the increasing expectations of today’s retail financial service consumers. Some banks and credit unions have taken steps to adjust their business models and technology solutions to meet these opportunities. Other banks and credit unions want to change, but do not know how or even where to start. Others are sitting idly by and hoping that digital banking, omnichanel and bi-direction channel banking is a fad that will soon pass. Before your bank or credit union considers a core banking system change, formulate a technology strategy that supports the vision and mission of your bank or credit union. Evaluate alternatives and opportunities, which will likely be less expensive, have a lower enterprise risk profile, higher ROI, and can be operational much faster than a core banking system conversion. With these guiding principles in mind, you can position your bank or credit union as an agile player in the quickly evolving retail financial services market. 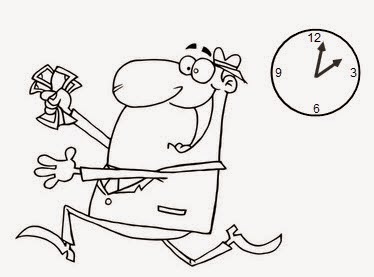 Ah, remember the old days……, the days when you had to get to your bank or credit union branch before 2:00 PM in order to get a deposit recorded as a transaction for that day. Fast forward to today. As Tom Groenfeldt, contributor to Forbes so eloquently writes, “When 40-year old legacy banking systems meet the two-month old iPhone 6, the results aren’t pretty.” The same thing that happened 20 years ago when a customer visited a branch still happens to you and your iPhone 6 or tablet today. It encounters batch processing. We are in the era of real-time transactions, real-time processing, and instant access to data, yet banks and credit unions cannot consistently deliver that experience to their customers or members. 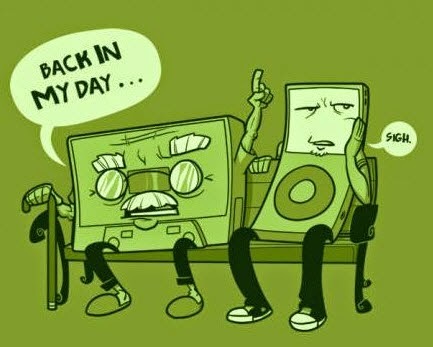 So much time has passed yet so little modernization progress has been made with North American core banking systems. The very systems that drive your credit union or bank. How can you compete against the up-starts, neo-banks, and fintech companies that seek to take piece by piece your most profitable business and leave you with the burden of regulation and no profit transactions when your core banking system is so far behind? Core banking systems, also known as core data processing systems were architected and built 30 to 40 years ago. They were designed more than 20 years before anyone heard of the Internet and their basic architecture has not changed since then. They were built to handle internally generated transactions from tellers, loan officers, CSRs and back-office support staff. They most definitely were not designed and still are not designed to meet the needs of external users such as customers and members. As a former executive of a core banking system company, I have seen the inside of the belly of the beast and it is not pretty. They say that if you see how sausage is made most people wouldn’t eat it. At least the finished product generally tastes good. If you saw how core banking systems are architected, enhanced and maintained, the spaghetti code cobbled together, and the lack of documentation you would not want to rely on it to run your bank or credit union. The worst part is many banks and credit unions have a hate/hate relationship with their core banking system and their provider. Why, because the core banking systems in use today, simply were not designed to meet the needs of today’s credit union and banks. As much as your core banking system provider may want to give you what you want, they can’t. Their core banking system solution simply was not designed to meet the needs of modern banking and their customer’s expectations, real time processing, transactions and data management. They are built on outdated technology, they were built around batch processing, and they have enhanced using Band-Aids and patchwork. So what are banks and credit unions that do not have the resources of the major national and super-regional banks to do in this situation? Converting from one core data processing system to another core data processing system is like adding internet radio to your 300,000 mile 15 year old car. It may provide you with a feature you are missing, but what happens when the engine blows up? Fortunately, there are options, and the best part is the options come with far less enterprise risk than a core banking system conversion and will add long-term functionality and architecture that will allow your credit union or bank to move into the world of real-time processing, transactions and data management, and personalization. Components, APIs, standards and the cloud allow banks and credit unions the opportunity to explore true alternatives to the zero sum game of a core banking system conversion. Componentization, APIs along with emerging standards such as BAIN (banks) and CUFX (credit unions) and internal or external cloud environments allow banking systems to more effectively communicate with each other and allow banks and credit unions an opportunity to create their own Services Orientated Architecture. An SOA will modernize the technology environment by allowing credit unions and banks to mix and match technology solutions they need to adjust and drive their business model and the ability to quickly adjust and implement new solutions. 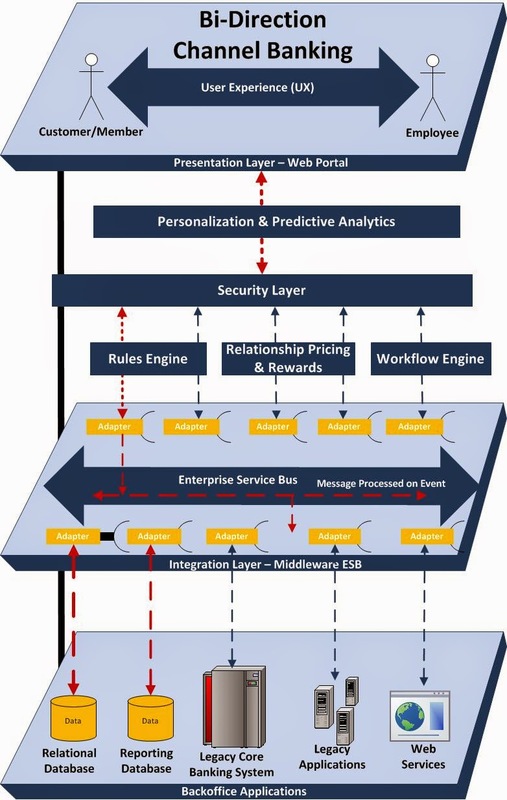 Combining a presentation platform on top of a security layer, an integration layer with business and workflow engines, data analytics tied to back-end and stripped down core banking legacy systems will provide credit unions and banks with the flexibility, agility and lower risk profile necessary to offer members and customers the solutions they demand in order to compete in the rapidly changing retail financial services market. Before your bank or credit union considers a core banking system change evaluate the alternatives which will be less expensive, have a lower risk profile and can be operational much faster and positions your bank or credit you to be agile in the quickly evolving retail financial services market. I was reading an article authored by Marc Rapport, senior writer at Callahan & Associates, called “All For One or One For All?” comparing the different technology strategies of two credit unions in close proximity to each other and both relying on select employer based growth. The two Midwest credit unions are BCU (formerly Baxter Credit Union) and Four Points Federal Credit Union. What struck me was how different these two credit unions view their technology strategy and how one of the two credit unions is completely comfortable allowing their future to be dictated by a company that may or may not have their best interests at heart. WOW is all I can say. Let go through this point by point. We could have gotten different components from different companies and then have them dicker with one another all the time, but I don’t have time for that”. The credit union does not have time to effectively manage one of the most important and most capital intensive areas of their business. Gone are the days you open and staff a branch, and rely on members to come flocking through the door. The retail financial services sector is under attack on many fronts. Members/customers expect more. They expect 24/7 365 access to all banking products, services and transactions. What can be more important than developing and managing strategy to meet those expectations in a timely manner? Do not have time for it? Regarding its new provider, the agreement stipulates that the credit union will not face any rate increases throughout the life of its contract. In addition, the credit union’s staff will also likely benefit from the new system’s enhanced core accounting functions – WOW no price increase until the credit union realizes it needs a new solution that they currently do not offer. Then what is the credit union’s choice, go back to the core vendor and hope they have the solution and will be fair in the price they charge (remember they need to make up that price guarantee somewhere) or …… oh I forgot, they do not want to dicker around with other solution providers. Price may be important, but can’t be the overriding reason a technology decision is made. I also love, “the staff will also “likely” benefit from the new accounting system.” At least a couple of back-office people will be happy. It is the last statement that kills me. “This whole idea of putting all your eggs in one basket can be an issue,” he says. “But I’ll take that over the alternative of integrating everything and managing different vendors.” – So expediency and lack of desire to manage vendors and relationship trumps or limits the credit union’s ability to define and deliver a comprehensive digital strategy. The coup de grâce is “the go-live date for the new system is April 30, 2015, but that timeframe depends on the exit negotiations with Fiserv.” How familiar does that sound from the big-box core data processors, as they jump from one to another? Unlike Ron Shevlin, (if you do not already, you should read his blogs, they are very entertaining) who loves skewer unsuspecting bloggers and article contributors, I bring this article to the forefront not because I want to attack the credit union CEO. I bring it forth as an example, because what was said by the Four Points Federal Credit Union CEO is so typical of so many credit union and bank CEOs and executives. I am not suggesting that all credit unions need to be as aggressive as BCU in managing its technology strategy, but I will say that they need to be on that side of the ledger. If you don’t control how your credit union digitally delivers its products, services and transactions, then you have little hope of formulating and executing a digital banking strategy that will satisfy your members/customers and allow you to compete/remain viable. 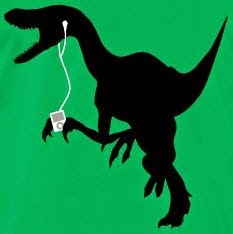 Dinosaurs were once dominate creatures, but where are they now? Credit unions and banks that don’t face the rapidly changing realities of the retail financial services market face the same outcome. Let’s look a little more closely at the performance these two credit unions as of June 2014. Membership growth is generally seen as an indication of a credit union’s membership satisfaction and/or the credit union’s ability to meet the needs of their membership. Is BCU’s technology strategy, which is polar opposite of Four Points’ technology strategy, the reason BCU is exceeding their peer group in membership growth and Four Points is under performing compared to their peer group? I don’t know the answer, but it is a good question that deserves an answer. Credit unions and banks must become more invested in their technology strategy and its execution. The CIO of today needs to be a savvy business leader that is actively involved in shaping the direction of the credit union, then putting in-place the solutions necessary to achieve the corporate goals. 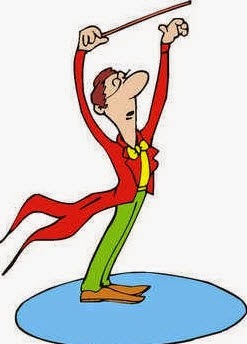 The CIO of today needs to be like the orchestra conductor, pulling all the pieces together to create symphonic harmony. If you are lucky enough to have a CIO like Jeff Johnson at BCU consider yourself fortunate. They are hard to find and just may just hold the future success of your credit union in their hands. Omni-channel banking correctly places customers or members at the center of the banking experience. Allowing customers the ability to access multiple banking channels while providing the customer the ability to begin a transaction on one channel and complete the process where they left off on another banking channel is integral to the successful implementation of an omni-channel strategy. Bank and credit union customers are beginning to expect to be able to move between banking channels using a simple, intuitive, consistent and interactive user interface. Successful implementing of an omni-channel banking experience may seem like the epitome of customer service success. It is not, it is only halfway there. The best customer experience can only occur if both the customer and the bank/credit union customer facing teams are on the same page, accessing the same information in real-time, without having to migrate through and between multiple banking systems. Financial products and services are often complex and numerous, resulting in many desperate banking systems that may or may not effectively communicate with each other. Middleware and a front-end UX system that can interface with these different systems and display the information in a user friendly, coherent manner is required for a bank or credit union to be able to deliver a successful customer or member omni-channel banking experience. Omni-channel banking is providing the customer or member with access to all banking channels in a seamless and unified manner. Providing BOTH customers and bank/credit union employees with access to all banking channels in a seamless and unified manner closes the service/user experience loop, which I call “bi-direction channel banking”. Bi-direction channel banking is the ultimate bank customer or credit union member user experience. To create a truly great customer experience both the customer and the customer facing support team must have real-time access to a single user interface that allow them both to access the same data and information. Despite bank’s and credit union’s desire to create easy to use self-service products, transactions and services, invariably bank and credit union personnel have to interact with the customer to either resolve a problem, answers a question, provide advice or counsel, or assist with the process. Unlike online retail stores, financial products are often complex, require multiple decisions and product knowledge expertise. Multiple banking systems are a fact of life for credit unions and banks. The complexity, processes, external transaction networks and regulation involved in banking makes having a single banking system impractical. Instead of focusing on a single system, embrace what each of these individual banking systems do, …. process and manage transactions. The vast majority of banking systems were developed for internal back-end use by bank or credit union staff. As the transition from brick and mortar banking to digital banking has evolved, those legacy banking system have not evolved with the change. As a result, credit unions and banks are trying to deploy customer/member facing banking systems that were designed to be back-end employee facing systems. By focusing on the presentation layer and integration middleware layer, banks and credit unions have an opportunity to maximize their investment in existing banking systems, while being able to deploy bi-direction channel banking using customizable user experience (UX) presentation/middleware platform. In order to deliver a seamless customer experience credit unions and banks need to deploy technology, re-organization, processes and training that are externally focused while closing the loop so employees and customers are working from the same playbook. The future of banking is bi-direction channel banking, the next step beyond omni-channel banking. 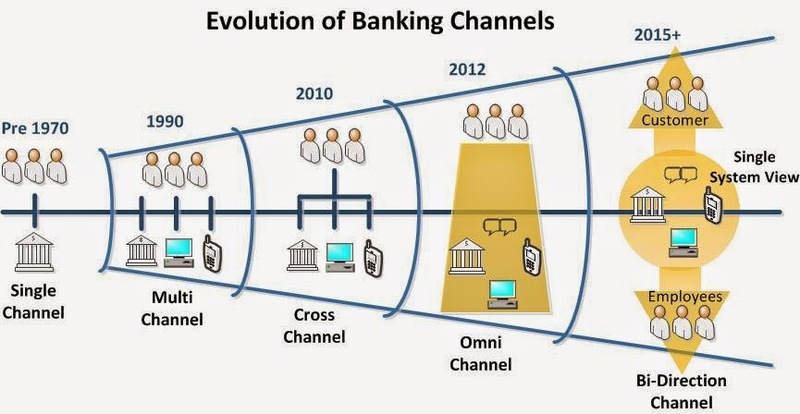 Just when you thought you had the evolution of banking channels figured out I am here to explain the flaw in the latest evolution of banking channels; omni-channel banking. The progression of banking channels has evolved from credit union and bank focused to being about the member or customer experience. From a single banking channel (inside out), which involved an in-person visit to the credit union or bank to omni-channel (outside in) which is designed to allow the member or customer to access banking services and products using multiple channels, in a seamless and consistent manner. Here is the problem. Successful implementation of omni-channel offers a member or customer access to banking products and services across and between multiple interactive channels in a customer focused seamless manner; but what happens when they encounter a problem? As much as self-service, automated processes, intelligent workflow and automated decisioning are designed to simplify and expedite a transaction, invariably problems occur that require communication or assistance from bank or credit union personnel. You know the drill. You have a service problem and you know what happens next. You call your credit union or bank and get that annoying automated call tree. Once you finally get someone live you explain the problem and they say, “Just one minute, I will transfer you to Jane in the XYZ department”. Your call is transferred and you get a message saying, “All personnel are on the phone please hold”. After waiting on hold for 5 minutes listening to promotions you have no interest in hearing, someone answers the call and you again carefully explain the problem. After hearing your problem explanation the person says, “Sorry, but that is another department”, and promptly transfers your call. This time your call is immediately answered. For the third time you try to patiently explain the problem. The employee says, “So what are you trying to do on our website”? You respond, “I am trying to apply for a loan and a credit card”. “OK, I can help you, but I have to access two systems. Our loan system and our credit card system”. The conversation goes on-and-on and it is like the “customer is from Mars and the employee is from Venus”. There is a total disconnect. Why? Because you and the employee are accessing different systems, seeing different information and even worse, the customer is accessing the customer facing interface while the employee is accessing the administration module. It happens every day in retailing, banking, cable, phone, and most service industries, but it is changing, led by companies like Amazon and FedEx. For a true low friction member or customer experience the customer/member support team must be able to access and view in real-time the path the customer has taken and have access to support data, regardless of the problem trying to be solved. To accomplish that goal silos must be broken down, training provided, the user experience (UX) of banking systems must be consolidated, and what application architects and business analysts call the “non-happy path” must be incorporated into the system. When something goes wrong the best opportunity to solve the problem is if both parties are accessing the same system with the same data and error messages, not front-end and back-end systems. 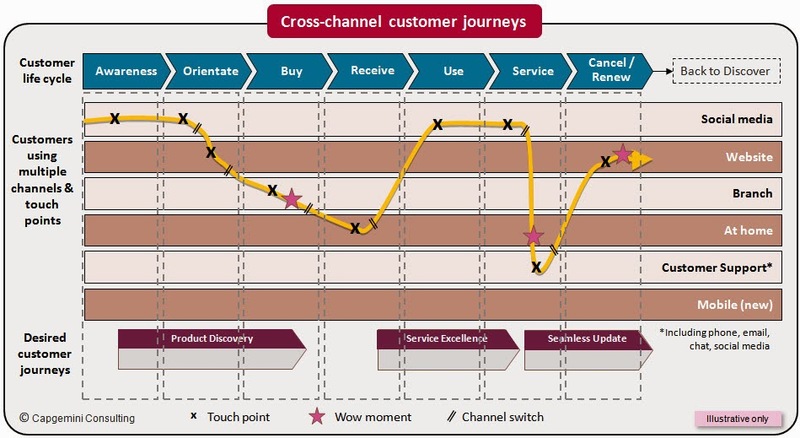 Omni-channel banking is an important initiative, but it must move to what I call “bi-direction channel banking”. 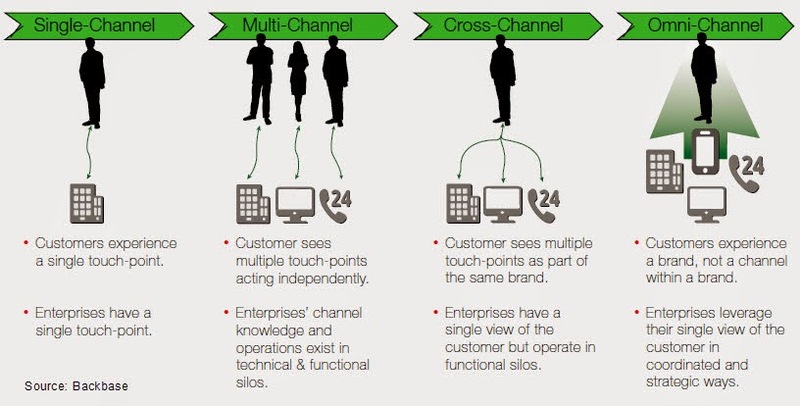 Omni-channel focuses on the member or customer experience, which is 50% of the solution. Bi-direction channel banking brings customers and the employees together on single user experience (UX) platform and completes the circle. We know banking is complex and is driven by multiple banking applications. There is the core data processing system, payment systems, general ledgers, cash management, credit origination systems, credit servicing systems, online and mobile banking systems, account opening and the list goes on. How can a bank or credit deliver a single system view to both its customers and employees with all these different banking systems and applications? 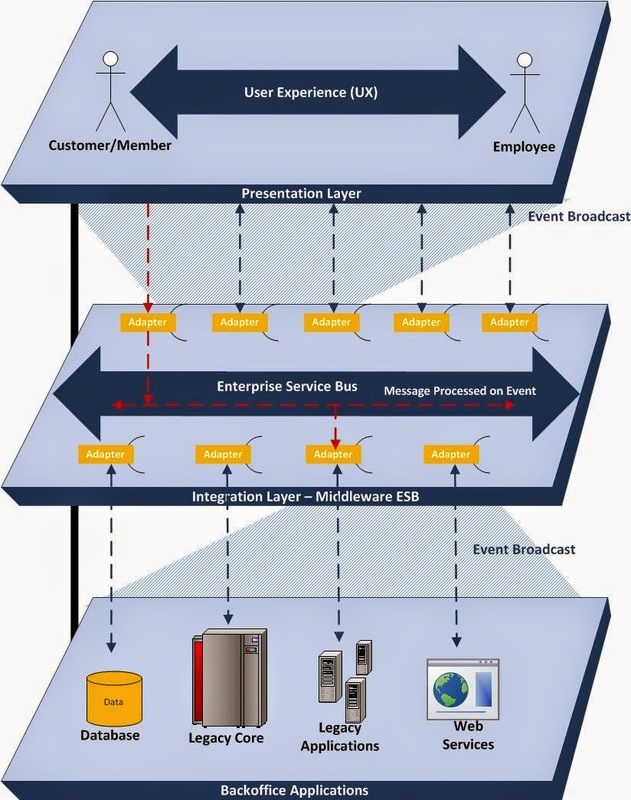 Through a user experience platform (UX presentation layer) that uses an enterprise services bus middleware as an integration layer, connecting to the bank’s or credit union’s multiple banking systems. Simple…… no but achievable, and replacing all those legacy banking systems is not an option for most banks or credit unions. Instead of replacing core data processing systems and other critical banking systems, embrace them for what they do, process and manage transactions. Using a UX presentation layer provides credit unions and banks a customizable solution displaying what and to whom information is displayed. Within the presentation layer customized automated processes, intelligent workflow, business rules and automated decisioning can be incorporated, which allows each credit union or bank, regardless of their existing legacy systems to be able to develop their own solutions that fit their banking model. In one of my blogs, “Do We Need Better System Integration or Fewer Systems to Integrate?” I argue Gonzo Banker’s position that rewriting all the bank’s systems into a single system is the right way to go. For all but the largest national and super regional banks, rewriting multiple systems into a single application is not viable. 0.4%. for the same period. 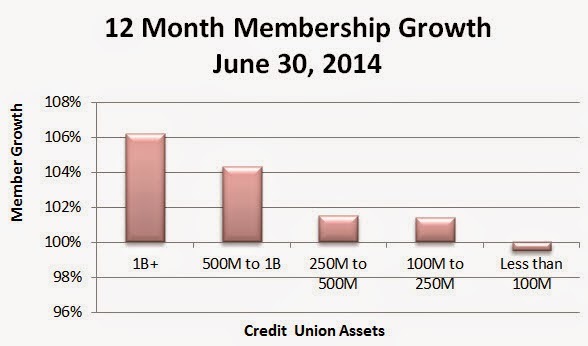 Overall credit union membership grew 3.7%. Also, during the same period the NCUA approved 234 credit union mergers and 20 were closed by NCUA supervisory action. The number of credit unions is reducing by about three to three and a half percent a year. The primary reason cited for credit union mergers according to the NCUA is to offer expanded member services. U.S. financial institutions under a half billion dollars in assets have a difficult expense and income challenge, due in most part by non-existent economies of scale. As margins shrink, the mega banks get more efficient and technology demands and expenses increase, this challenge is going to become even more difficult to manage. A look inside these numbers reveal what most industry analysis have been saying, the large get larger and the small are getting smaller. Less than 100 million shrank by half percent. 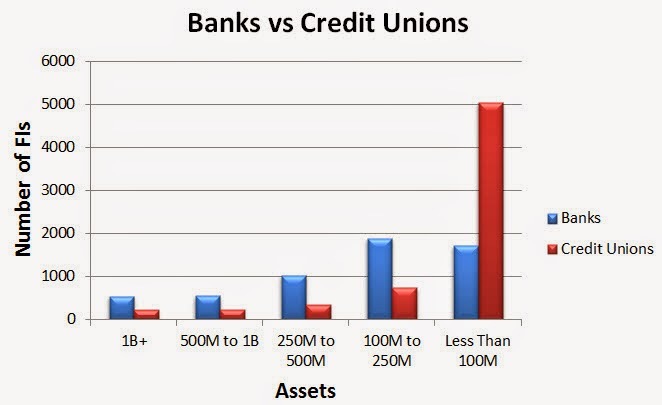 Only 7% of all credit unions, 456 out of 6,558 exceed a half billion dollars in assets. Long-term, even the best credit union executive management teams will be extremely challenged to operate viable credit unions under half billion dollars in assets unless they identify and serve a special niche and recognize that their ability to compete in the digital banking space will become more and more difficult. Credit unions must find a way to achieve greater economies of scale to reduce operational and technology costs. 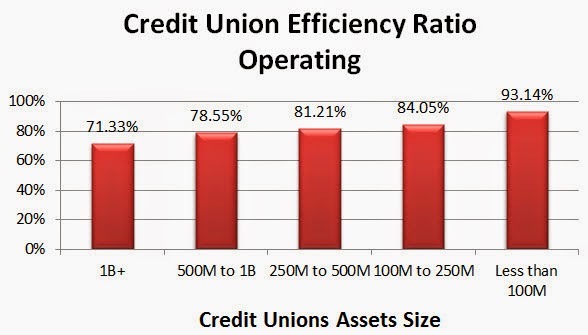 The chart below shows the inefficiency of credit unions as their size decreases. What is an acceptable efficiency ratio target? There are several high‐performing credit unions nationwide that have set long‐term targets to move toward a 50% efficiency ratio. Cornerstone Advisors, Inc. recommends that all credit unions target at least a ratio below 70% and more optimally somewhere between 60 – 65%. efficiency to the level believed necessary to be able to compete long-term in the retail financial services space. Where banks have an advantage over credit unions is that 19% of banks (1,090) are over a half billion dollars in assets compared to only 7% of credit unions (456). 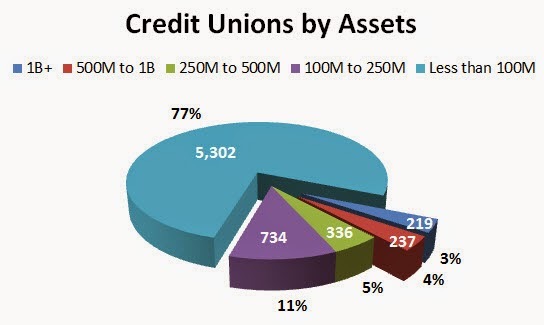 As of June 30th, 2014, there are 12,315 credit unions and commercial banks. Both are shrinking at 3% to 4% a year. Of the 12,315 financial institutions, only 12.5% exceed a half billion dollars in assets. 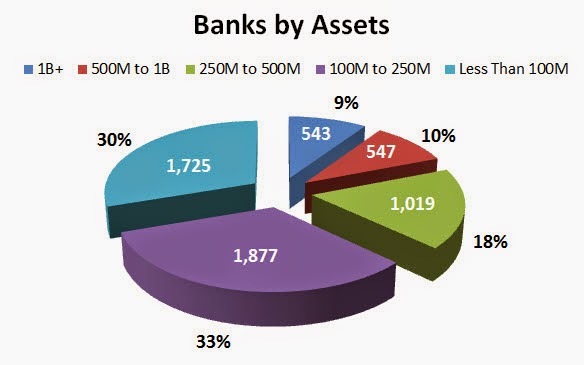 10,769 banks and credit unions have an asset based of less than half billion dollars. How do they continue to compete? Through cooperation and collaboration! The most effective way to for banks and credit unions under a half billion dollars in assets to achieve economies is through a cooperative effort that provides technology solutions and combines back-office operations for multiple banks or credit unions. Credit unions have used with mixed results “credit union service organizations” (CUSOs) designed to provide either operational or technological economies of scale. CUSOs are generally non-profit entities that are owned in-part or wholly by the credit unions that use the CUSO’s services. As a former executive of a core data processing CUSO I have seen the strengths and weaknesses of the CUSO models. Generally the most successful CUSO’s focus their services around transaction processing and transactional services, where economies of scale can be achieved. The less successful CUSO’s tend to focus on the development and deployment of their own proprietary technology solutions. Why are technology/software development CUSOs less successful? Software development, technology hosting, support, installation, data conversion and distribution is expensive and capital intensive, and generally cannot be spread over a large and diverse base of customers. A CUSO by its nature serves a limited number of credit unions. The limited number of credit unions is a catch 22. The capital required to fund a technology CUSO is too high for the limited number of credit unions and the CUSO needs capital to grow. Michigan based CU Answers, Xtend and eDOC, who are all part of the cuasterisk.com brand, a network of credit union owned CUSOs. These three entities are headed in the right direction, although they rely on the development of their own technology solutions. Their primary market is smaller credit unions, however, the true value of this solution must be recognized by credit unions of all sizes. For this CUSO model to work, the CUSO must have strong and focused management with a clear mandate and vision. Too often CUSO boards consisting in-part or in-whole of credit union CEOs that own the CUSO, but have little knowledge about the business the CUSO undertakes. The result is they fail to establish a clear vision, set a clear mandate and metrics and fail to see the big picture, instead focusing CUSO management on their individual credit union requirements/expectations. My best recommendation to CUSO owners, hire qualified management team, hold them accountable and then get out of the way. Bankers and larger credit unions executives ask, “Why would I want to partner with a competitor”? Good question, and the answer are simple, “Survival”. The end isn’t coming today or tomorrow, but what about five or ten years from now? The consolidation numbers are real and are not going to slow down. In fact, I expect consolidation, mergers and acquisition to start growing at a faster pace. The time is quickly approaching when bankers and credit union executives must begin to consider alternative business models in order to remain sustainable. Back-office/back-end processing is a transaction commodity process that does not offer a sustainable competitive advantage. The right technology vision and solution mandate will allow common back-office processing, achieving transactional and back-office economies of scale while offering a customizable user and staff interface, workflow, business rules and data analytics that can be customized by each credit union or bank without adversely affecting the technology platform and follow-on upgrades. Think of Salesforce and similar SaaS platforms that are customizable and unique to each company, but still run on a common platform in a cloud environment. Survival of banks and credit union under a half billion dollars in assets may be dependent upon them competing on the front-end and cooperating on the back-end. 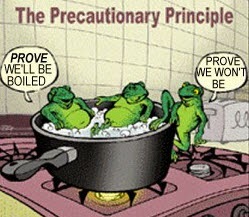 What is the triggering event that will cause banks and credit unions to examine and take action on this idea, or is the inertia so great that it is like a frog placed in cold water that is slowly heated a boil? What is the water temperature at your credit union or bank? Omnichannel and digital banking is such a massive initiative, how do credit union and bank executives get their head around it? There are so many parts, where do you start? Have you ever sat down to create a list of solutions today’s members/customers expect, or will soon expect from their credit union or bank? Here is my list in no particular order. What have I missed? Head spinning? How can a credit union or non-national or non-super regional bank compete? How can they afford all these solutions? How can they evaluate all these solutions? How can they implement all these solutions while also knowing innovation and the resulting list grows daily? How do you plan for the next solution that you do not know is coming? Credit unions and most banks simply do not have the resources, expertise and capital to continue in what is amounting to the old arms race between the Soviet Union and the United States. Develop a niche that is not reliant or expecting the latest technology solutions - You may not be their primary financial institution, but your niche is profitable and long-term sustainable enough to remain strong. A credit union or community bank in a small rural town is not a sustainable long-term niche. Walmart loves your market and demographic. Partner with other credit unions or banks to develop a technology strategy, roadmap, funding, R&D, hosting, implementation and support plan that serves each of the participating credit unions or banks. Partnering with your competitors or with credit unions and banks outside your service area may seem like a scary and radical proposition. It is, but what is the alternative? Can your credit union and bank really stay on top of and fund the technology solutions members and customers expect? I have used this data in several of my blogs because it speaks to exactly what is transpiring today. The data is clear and the members/customers have spoken by their actions. According to the millennial disruption index study, Chase, Citi, BofA and Wells Fargo are among the ten least loved brands by Millennials. According to FICO's Forging Lasting Banking Relationships with Millennials, 68% of Millennials use Chase, Citi, BofA or Wells Fargo as their primary bank. Only 15% use a credit union and only 9% have a regional bank as a primary bank. More Millennials bank at national banks than any other generational group (55% for Gen X and 43% for Boomers). Why, because the big national banks have a digital strategy and are leading the market with the implementation of their strategy. 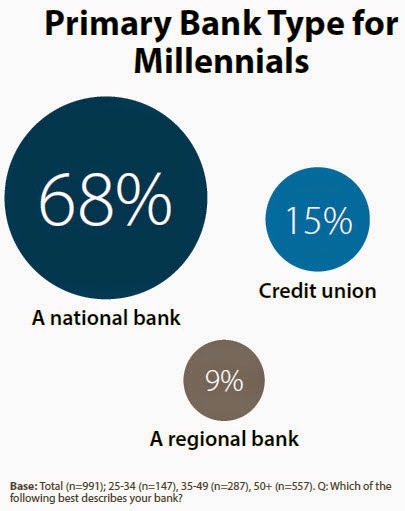 Credit unions and banks are losing the battle for the next profitable generation of customers, the Millennials. Millennials, 18 to 35 age bracket now make-up the largest age segment of our population, passing the baby boomers. If you don’t have a plan to meet their banking needs, then your credit union’s or the bank's future looks bleak because there are plenty of traditional and emerging non-traditional financial service providers that will. Are you ready to partner with other banks or credit unions? In addition to achieving technological economies of scale, another part of the plan can be to achieve economies of scale in back-office processing. Why do you want to own the technology and back-office processing? Because you always have? Instead, why not focus on marketing, front-end operations, brand, and differentiation through the service and support you provide. Just because technology and back-office operations are shared does not mean that the credit unions and banks that are part of the shared technology and back-office support team need to look, operate or execute the same as the other participants. Lead with creativity, marketing and service and you will have happy members/customers and you will not have the burden of technology and back-office operations. Is there any doubt credit union and bank consolidation is real? Is there any doubt the NCUA and FDIC are encouraging through regulation consolidation of banks and credit unions. Industry experts forecast that in 15 years the number of remaining banks and credit union could be reduced by as much as 50%. What is your credit union's or bank's plan to be one of those remaining credit unions or banks? "United we stand, divided we fall", Aesop. 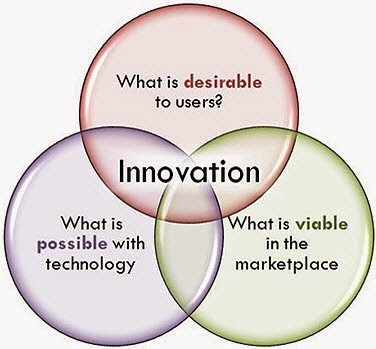 "Innovation is taking two things that already exist and putting them together in a new way", Tom Freston. Wise words or blasphemy? Agree or disagree with this proposition? Why? Is it workable? What are the problems? What would stop its implementation? Pipe dream or viable solution of the future? All Copyrights Rights Reserved 2014. Watermark theme. Powered by Blogger.